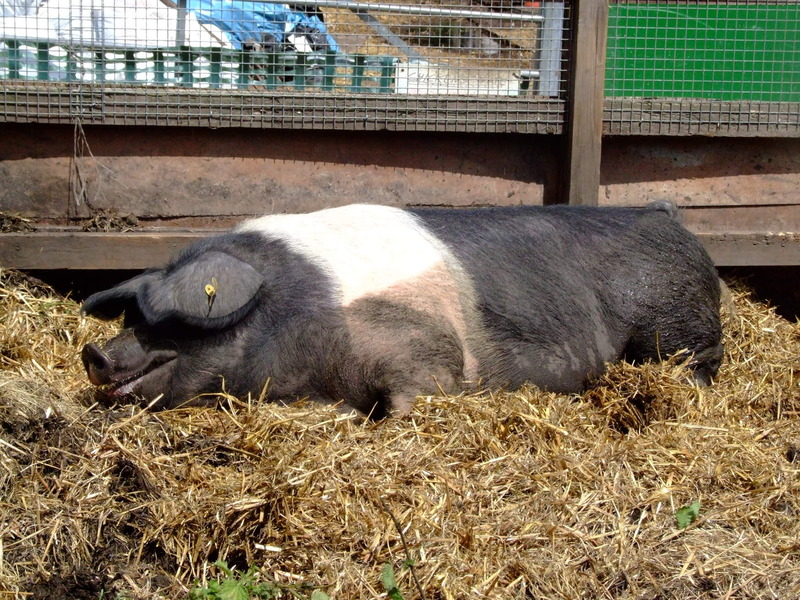 Pigs, goats, donkeys and sheep, just a few yards from Hackney Road? Yes, that’s right. 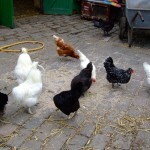 This week we went to visit the popular Hackney City Farm. 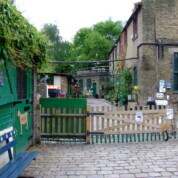 Established almost thirty years ago, Hackney City Farm is a small community farm, with the added attractions of a pottery, bike repair yard and café. Entering the farm down a leafy, cobbled track, it’s hard to believe you are in the middle of London. 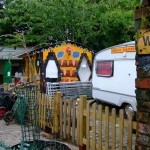 The farmyard, formerly home to a brewery and a haulage business (amongst other things), now houses chickens, ducks, geese, pigs, sheep, goats, donkeys, rabbits and guinea pigs. 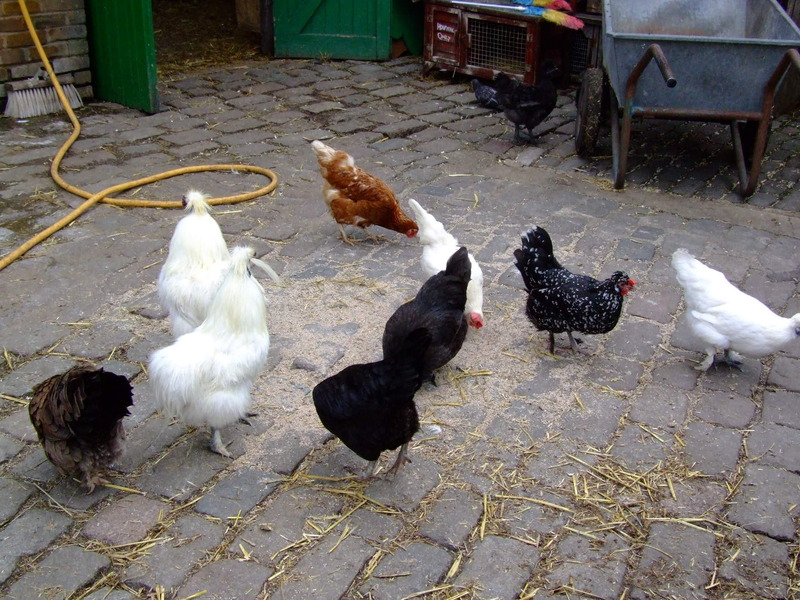 One of London’s oldest city farms, Hackney City Farm is small but lively. 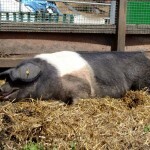 Children will love the animals, particularly the enormous Tamworth and Saddleback pigs. 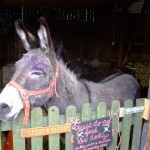 Admission to the farm is free. Donations are welcome. 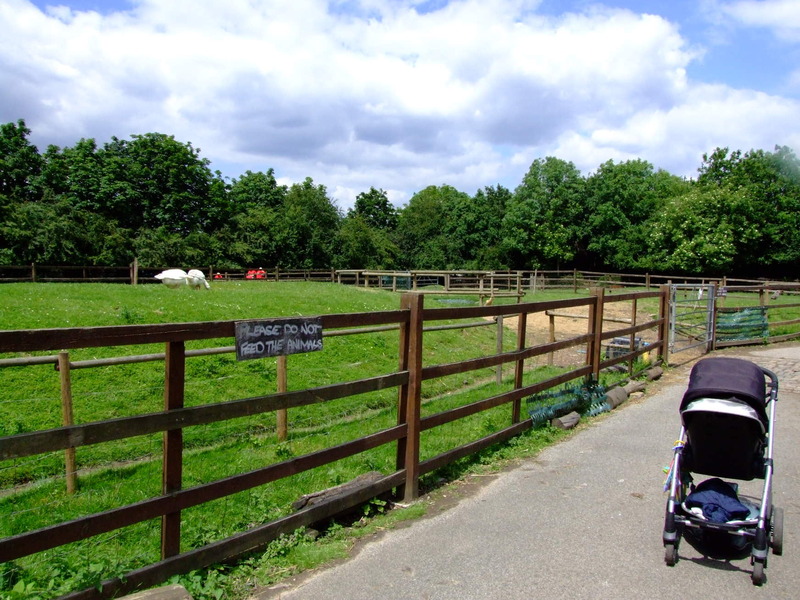 Hackney City Farm is accessible to pushchairs, open the gate by the stile to visit the woodland trail. Café Frizzante serves Italian hot and cold food, drinks and snacks. 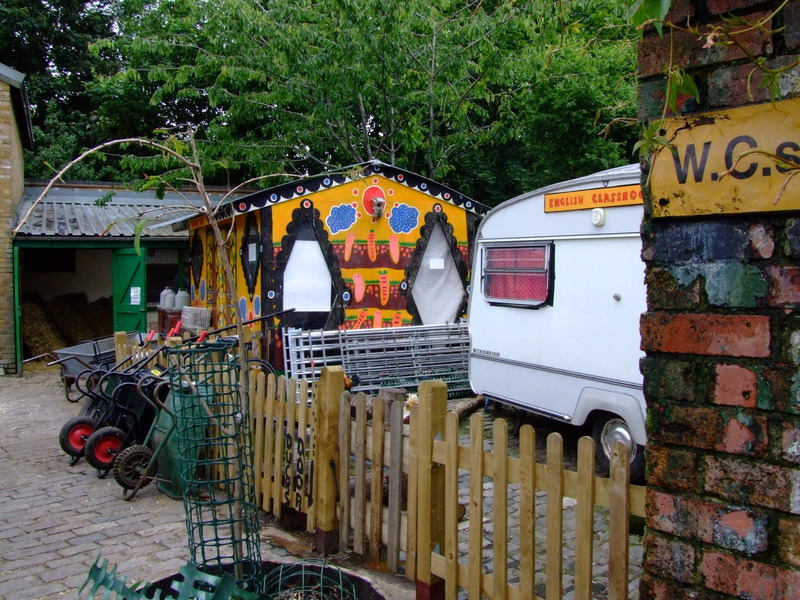 As a rough guide, a cappuccino costs £2, sandwiches cost approximately £3.50 and main meals, £8-10. 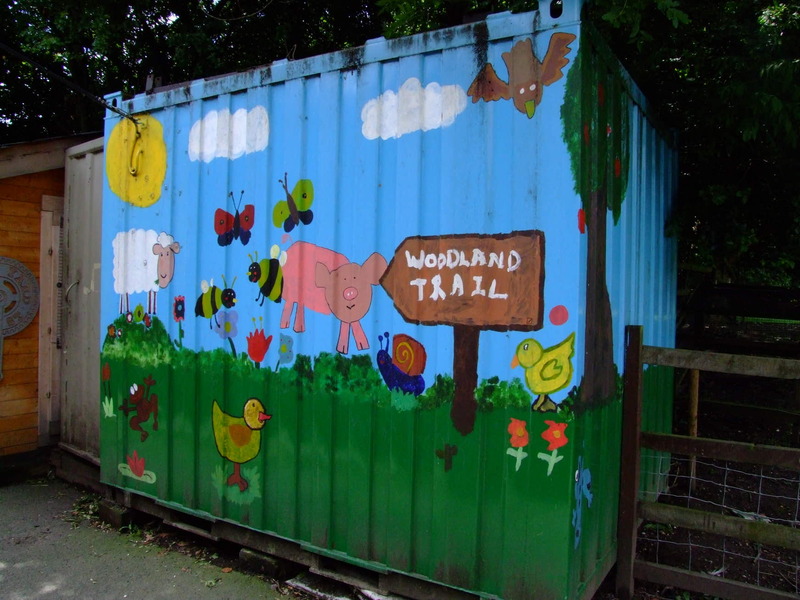 Kids meals are available and cost approximately £3-4. The café has a lovely, shaded garden terrace. High chairs are available. 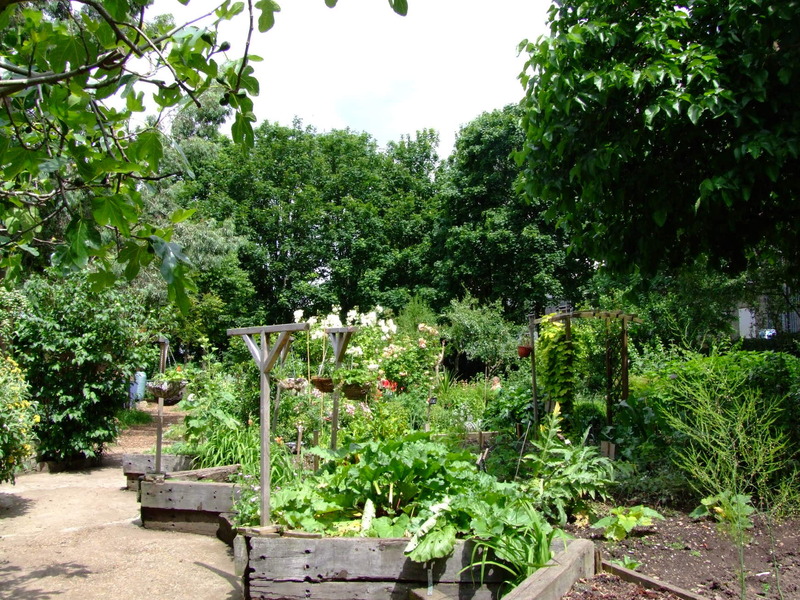 If you want to bring your own picnic, you could eat it in Haggerston Park which is located next to Hackney City Farm. 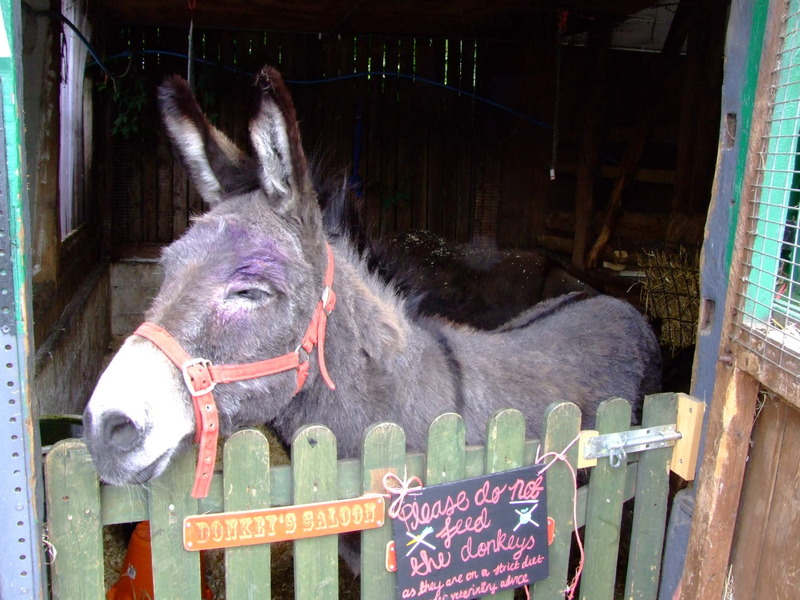 Hackney City Farm is closed on Mondays, except for Bank Holidays. 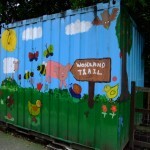 Open Tuesday to Sunday from 10am to 4.30pm. 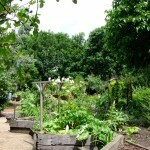 By train: The nearest tube station is Bethnal Green station on the Central Line (no step free access). Alternatively, use Hoxton Station on the London Overground (former East London Line) which has step free access from the platform to the street. 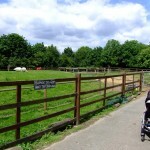 Cambridge Heath Station on the National Rail network is only a short walk from Hackney City Farm. By Bus: 55, 48, 26, 394.